Understanding the unique and broad challenges of big data is complex, but Ph.D. students and faculty at the Lerner College of Business and Economics are attempting to find the answer to one complex question: How can we identify and classify the real people and business opportunities behind these numbers? 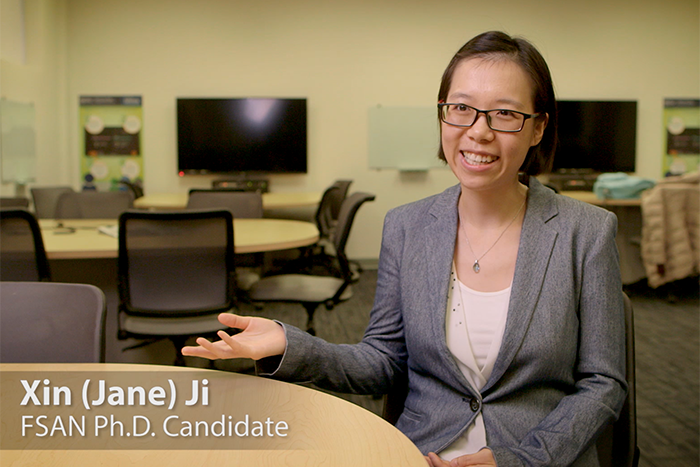 Xin Ji is a third year Ph.D. student in Lerner’s financial services analytics (FSAN) Ph.D. program. After earning her master’s in hospitality business management in 2014, Ji found the first-of-its-kind FSAN program attractive because of its interdisciplinary nature in asking complex, intertwined questions. “My curiosity in data science initially drew me to continue [on to] a doctoral degree in financial services analytics. I wanted to gain insights into data science and acquire practical toolkits that can help bridge data and business opportunities,” Ji said. Under the guidance of Adam Fleishhacker, Ji performs her dissertation research focusing on identifying interpretable and accurate methods of clustering to generate and act on insights from vast amounts of data. To ensure both the scalability and interpretability of the clustering algorithm in large data settings.